Japanese people have a habit of visiting our family graves every few months. Maybe this is a custom in your country, too (^^). We light candles, place some flowers and offerings, and pray for the departed. 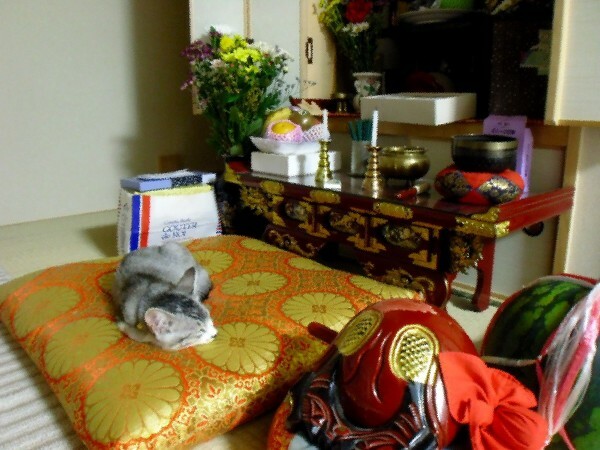 And also, many households in Japan have a family altar at home like in the photo below. We do almost the same things as when we visit the cemetery. The offerings should be the departed’s favorites. This person must have loved fruit, and maybe cats (^^)? As I mentioned above, people offer something the departed loved. 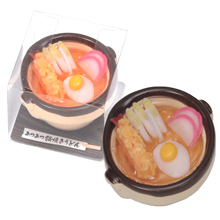 In many cases, those offerings are food. 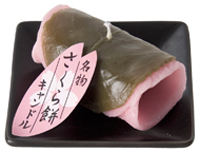 But the problem is that food goes bad if you leave it… so a Japanese candle maker, kameyama co., ltd., produces very unique candles to solve this problem! Look at the photos below (^^)! They look delicious, but they are all candles. 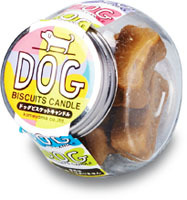 Candles are also necessary for graves and altars, so this is just like “killing two birds with one stone”. 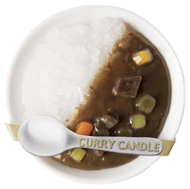 Sushi and curry for rice lovers! 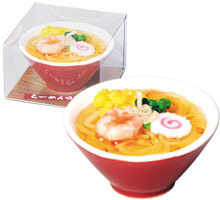 Udon and ramen for noodle lovers! 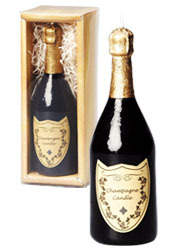 Champagne and sake for alcohol lovers! 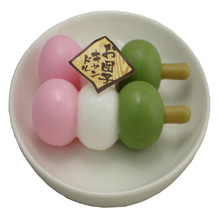 Sakura-mochi and dango for sweets lovers! 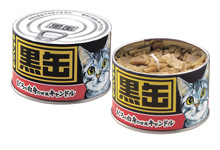 Dog food and cat food for your pets! 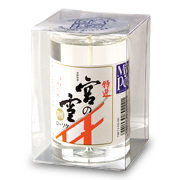 These candles are originally produced as graveside offerings, but maybe they are also appropriate as gifts from Japan. What is the Origin of Suika-wari or Watermelon Cracking of Japan?